This article was written for small business owners who either use, or are considering using WordPress to power the website for their business or blog. It is important to understand what WordPress is, and that not all web hosting options are created equal, when it comes to your WordPress website. This article will discuss your different web hosting options, with a focus on why I believe managed WordPress hosting is worth a strong consideration. WordPress is an open source website creation tool that makes the process of creating a website more time efficient for your web developer. It’s also a relatively simple and affordable way for your web developer to provide you with a content management system (CMS) so you can easily add, edit, and remove the content on your website yourself. While some web developers will always suggest you stay away from WordPress and use a custom solution, an increasing number of developers have embraced WordPress as a solution to build a high quality website for small businesses, at a price that won’t break the bank. While I would say it is a valid argument that hiring an experienced programming and design team to create a custom solution for your business is the most ideal option, the cost savings in using WordPress is difficult to ignore. It is also worth noting that if your website is powered by WordPress, you are not alone. WordPress is widely used by small businesses, and big well-known brands. Check out the WordPress showcase page to see just a few of the many well-known businesses and individuals that choose WordPress. When it comes to your regular shared hosting packages that are offered at all major web hosting providers, what you (the business owner) really get at the end of the day is cost savings. Shared hosting is very affordable. Typically the cost is only $4-$15/month. Most web hosting companies give your web developer an array of features and tools that allow them to properly do the job they need to do for you, and you can even host WordPress sites on regular shared hosting accounts at several major web hosting companies. For the first 7 years I spent helping small businesses in London Ontario establish a web presence, I actually set them up on a regular shared hosting account via my GoDaddy reseller storefront. It did the job for my clients, some of which really needed to keep their expenses in check, as I’m sure many entrepreneurs who are starting a business can relate to. For some, this is still a perfectly good solution. Managed WordPress Hosting accounts have some advantages that small businesses really need to consider. Improved Site Speed – Managed WordPress hosting accounts are specifically created to ensure your WordPress site runs lightning fast. It is important to emphasize the importance in this for a business. Simply put, both visitors and search engines detest websites that don’t load as fast as they are expecting. From a visitor perspective, think of it this way. How do you feel when you are trying to access or browse a web site, and the pages take a long time to load? 40% of people will actually abandon a website if a page takes more than 3 seconds to load. Even if your visitors stick around on your website that is loading slowly, what harm do you think this could be causing your business in terms of the brand experience? It certainly will not improve the chances of you converting these warm sales leads into customers. In addition to user experience, it is important to note that page speed is a factor in how well your website ranks for relevant key phrases in search engines. This is actually logical when you think about it. It is Google’s job to display the best results for its searchers. If all other things are equal between you and your competitors, but your website loads slower than theirs… what is most likely to deliver the searcher a positive experience? As you can see, site speed is certainly a factor worth considering when justifying the increased cost of a Managed WordPress hosting provider. Better Security – Managed WordPress web hosting offers better security, and in the event your website is hacked, it makes the recovery process simple and affordable, if not completely free. WordPress has improved drastically over the years when it comes to security. They are very active with releasing patches to potential security issues that are discovered. However, even if you and your web developer are active about installing security updates, a hacker may still identify a security hole in your site and cause damage to your website and possibly your business reputation. Prior to strongly encouraging my clients choose Managed WordPress, I actually had 4 small business clients fall victim to a hacking in the first 3 months of 2015. Here are a couple of examples that are not necessarily typical, but worth sharing and thinking about. Retail Store – A retail store client had their website hacked. An image with a young naked woman (possibly under-age) was uploaded to the specials page with the text “Hot Offer” and a link to an external website. Unfortunately for this client, neither one of us had reviewed the site in what I later determined was nearly an entire week of this image being on his website. Imagine the reaction of his potential customers who had arrived at that page and saw the image? Imagine how the client felt when someone did finally see the page, and went out of their way to report it to him? Construction – A construction company website would load properly, but any time you clicked on one of the inside pages, it would redirect the visitor to a Viagra shopping site. This company has an average transaction north of 200K. Imagine if just one high quality lead was lost because they found the website, but was then unexpectedly redirected to a website that sells Viagra? As you can imagine by these examples, this is something any small business should attempt to actively prevent. A Managed WordPress hosting provider not only actively monitors and attempts to prevent hacking related issues, but it goes above and beyond this. If a breach is detected, most will attempt to restore the website to its last known clean version automatically via the daily backups they take. If this can not be done, they will assist you in manually resolving the issue. This saves time & money, but most importantly a lot of grief and prevents the possible loss of the warm sales leads that could not browse your website, as expected. While improved speed and site security are highly compelling reasons to consider a managed WordPress hosting provider, I did want to quickly review a few more advantages. Daily Backups – Most managed WordPress hosting providers back up your web site daily for a minimum of 30 days. This makes it easy for you to restore your site in the event something goes wrong. Automatic Updates – Unlike most regular shared web hosting providers, a managed WordPress host will apply required updates automatically. By ensuring your web site is up to date, this should prevent the majority of potential hacking related issues. Reduced/Eliminated Risk of Downtime – Most regular shared web hosting providers are not equipped to adapt to a sudden increase in traffic. If for some reason your business or the content you create becomes rapidly hot and a huge spike in traffic is experienced, a managed WordPress hosting account will help ensure your website is ready and can handle this influx in traffic, and this reduces or eliminates one of the biggest risks of website downtime. Expert Support Staff – As is well documented online in reviews, the regular shared hosting providers are often hit and miss when it comes to having experienced expert staff available to assist with issues. 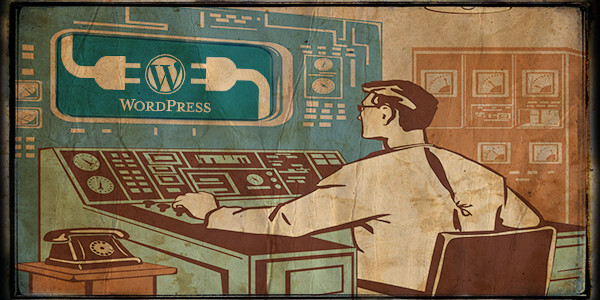 Most reputable managed WordPress hosting providers keep experts on their support staff. These staff members have extensive knowledge of WordPress, and can provide you with the right advice, should you ever need it. This can be invaluable if you should desire to solve a problem, or improve the performance of your website. Of course, these advantages come at a price. Managed WordPress hosting packages often run at 5-10X the cost of regular shared hosting packages. In my case, my preferred managed WordPress web hosting provider is WPEngine (affiliate link). While paying $30/month for web hosting instead of $5/month is a tough sell for a new business, I strongly believe this is the best option for those who are utilizing WordPress to get their website developed. The increased cost is justifiable to me, because site speed and security are just so important. Also, the headaches and extra costs associated with recovering from a hacked website are decreased significantly. In most cases, there is no cost and very little time investment is required to get your website back up, and running. For my clients, I currently suggest WPEngine for Managed WordPress hosting and I still suggest GoDaddy for their affordable regular shared hosting packages. I recognize that GoDaddy doesn’t always have the greatest reputation and reviews, but I’ve experienced good service at a good price from them for over 10 years now. Disclaimer: I also happen to have a business relationship with them, as a writer for their blog. If you want to support me, you can click on one of the following links. If you do, I will earn a commission for any purchases made. Of course, the support is greatly appreciated. Click here to visit my GoDaddy reseller store. Click here to visit the WPEngine home page via my affiliate link. Occasionally, coupons and offers are shared with me for WPEngine. I will try to keep this up to date. Here are a couple of their best offers right now. Migrate to WP Engine for Free + save 20% off any Personal, Professional, or Business monthly plan with code FreeMoveM. Expires 8/31/15. New customers get an extra 2 months free hosting on any shared annual plan with WP Engine with code ASEBonus2. Expires 8/31/15.